The Bambi Signature Edition has just been released to coincide and celebrate the 75th anniversary of the Disney classic animated film. Is it worth picking up this release? 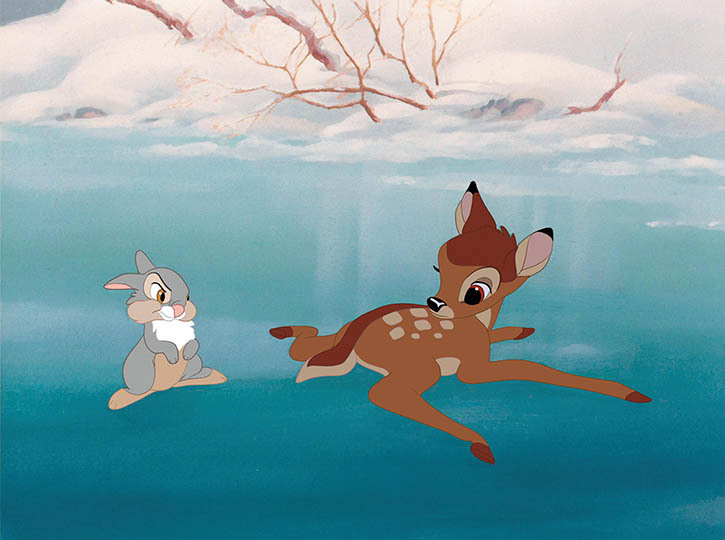 Bambi, the Disney Studios fifth animated film, was released during World War II on August 9, 1942 in London. The New York City premiere was on August 13. The initial reaction to the film was semi-negative, mainly due to the perceived move away from Disney’s fantastical animated worlds. Disney regularly re-released animated films about every ten years or so, in order to capture new audiences and keep the films in the public eye. Of course, this also helped the bottom end, since the film could recoup and surpass initial costs. 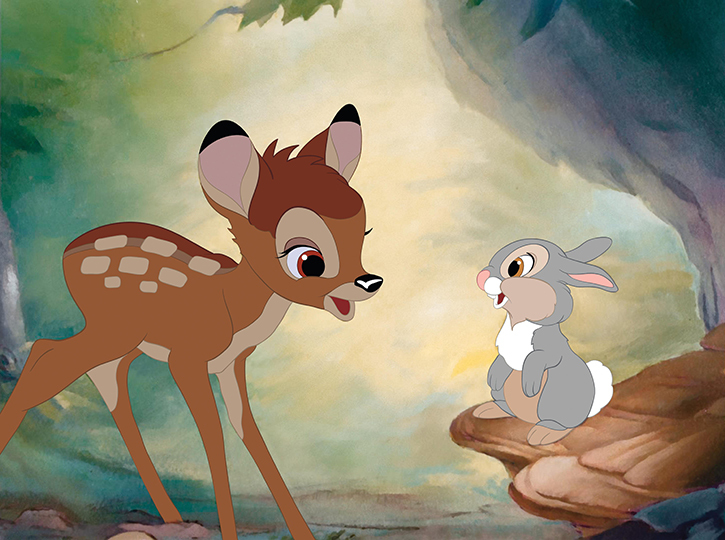 Today, Bambi is considered a Disney classic by any standard. Should you pick up the Bambi Signature Edition on blu-ray? The film is gorgeous and the blu-ray transfer is top-notch. It’s amazing how sharp and clear the film is. The audio even feels new. I think it comes down to whether you own the 2011 release or not. If you already own the 2011 blu-ray release, then you’re not going to find much a difference, except for a few of the features. Most of the brand new content is good, but not as deep, historically, as we’ve seen on previous releases. Overall, the Bambi Effect featurette was the best of the bunch. The Studio Stories was well done, with a mixture of Walt’s actual voice and an actor’s voice. The Oswald the Lucky Rabbit short was very surprising and a wonderful way to show how much animation changed from Oswald to Bambi. The Classic features were well done, but I had seen them all before. There’s a lot more history involved with them, so you have to check them out if you haven’t seen them before. The transfer is not as crisp as the new features, but they’re full of information. As with other releases, Bambi comes with a download code for the Disney Movies Anywhere digital download. This is the first time Bambi has been offered in this format and might be reason enough to buy the blu-ray. 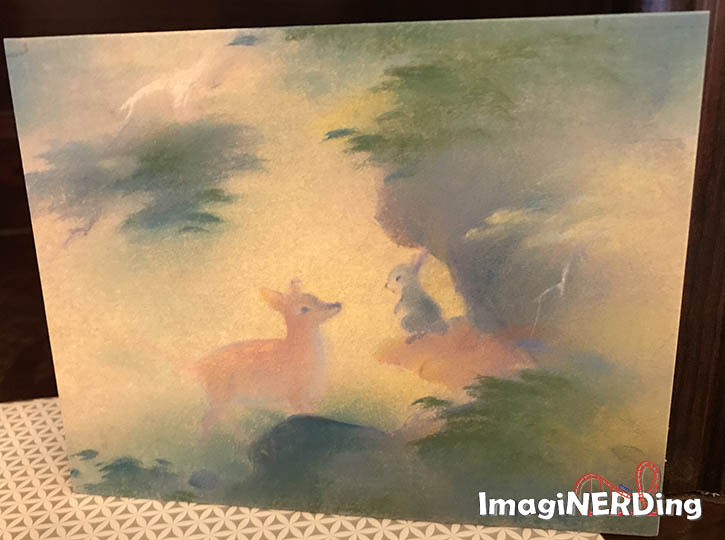 Speaking of celebrating Tyrus Wong, there was a small, stand-up print dedicated to Tyrus inside the package. Overall, I loved the Bambi Signature Edition blu-ray release. If you don’t own the 2011 copy, then you need to buy this one. Even if you own the 2011 release, the Signature Edition is a beautiful transfer and is worth a look. 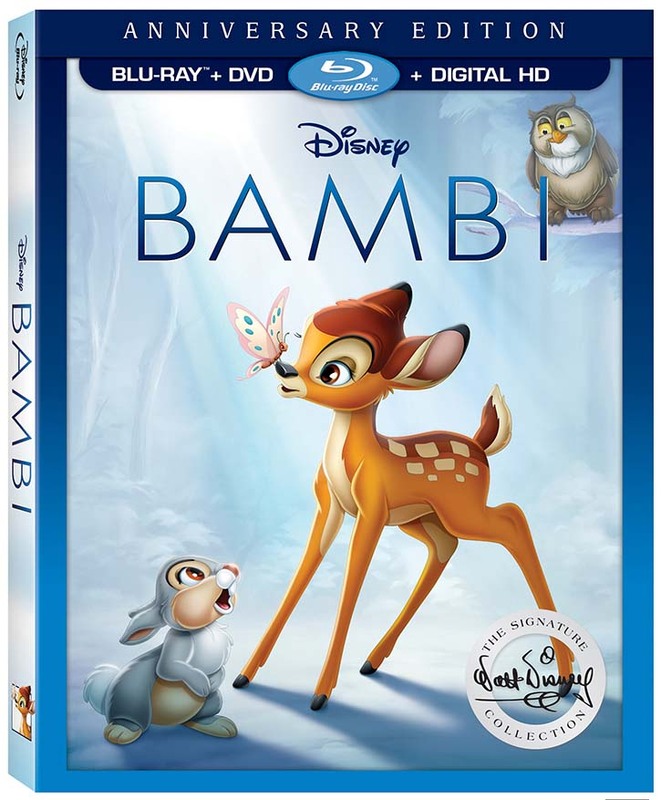 Are you going to pick up the Bambi Signature Edition on blu-ray?